Sales of the moist powdered variant of the chewing tobacco known as snuff, or snus in Norwegian, have more than tripled in Norway during the past decade. While the British have long been known for their stiff upper lip, increasing numbers of Norwegians now sport a thick upper lip. Snus (roughly pronounced “snoose”) was long relegated to the outer edges of Norwegian society but about 10 years ago, it began finding new customers. Young men and increasingly also women, began snusing in ever greater numbers. Newspaper Aftenposten reports that young Norwegian males are now more likely to snus (yes, it’s also used as a verb) than to smoke. A huge jump in sales led last week to one of the biggest single tax increases in the newly proposed state budget for next year. The Norwegian Institute of Alcohol and Drug Research (SIRUS) points to several reasons for the jump in snus’ popularity. “Smoking bans in 2004 stopped people from lighting up in cafés and restaurants. Instead they began to use snus as a substitute,” SIRUS researcher Marianne Lund, told Aftenposten. This group makes up the first of the three new groups of snus users that Lund has identified. Smokers who want to quit smoking form the second group. The third group look upon snus as a less-dangerous tobacco product than cigarettes and choose it for that reason. Snus production has been profitable. Swedish Match, one of the largest manufacturers, shows an attractive profit margin, pocketing NOK 45 of every NOK 100 sold. The company now has a market value of SEK 40 billion (USD 6 billion) and its stock has almost doubled in price over the last four years. Exports to Norway have leaped, and demand for snus is so high that Swedish Match is running extra shifts to boost production. Snus is banned throughout the European Union (EU), but Sweden won an exception. The Norwegian market is also a gold mine for Swedish Match, since Norway is not a member of the EU. 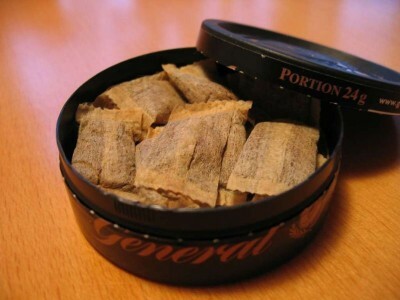 Despite a total ban on advertising, sales of snus in Norway have climbed from 9.3 million boxes in 2002, to 34 million in 2009. The Norwegian Directorate of Health, Helsedirektoratet, is concerned. “It looks like the industry wants to portray the use of snus as normal and trendy, particularly among the young,” Anne Hafstad of the directorate told Aftenposten. “At the same time, the industry is developing new products specifically aimed at young people, veriying the nicotine strength, marketing new flavours, and designing new containers to attract new young customers and women in particular, to start snusing. This is unfortunate.” She points out, though, that the rate of increase in the use of snus seems to be slowing down. The rapid growth in snus sales led the government to propose a 10 per cent increase in the tax on snus, twice the suggested increase on cigarettes in the new budget.